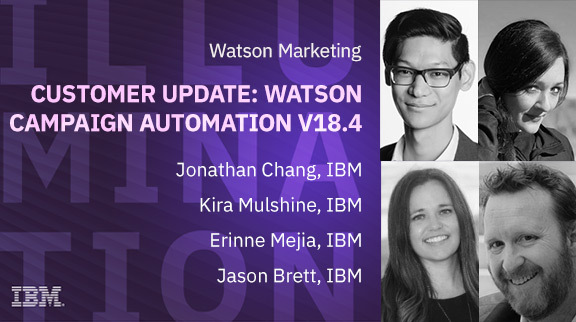 Hear about exciting and new changes, including the new user experience and Watson Assistant for Marketing. You will learn key ways to use the new user experience, including navigation and what’s different. Additionally, we will help you get the most out of Watson Assistant for Marketing by highlighting some real-world examples so you can better understand and optimize your marketing campaigns.